Organisers of a brand new and exciting creative arts competition are inviting budding artists to create iconic works inspired by the unique Highland culture of the Cairngorms. 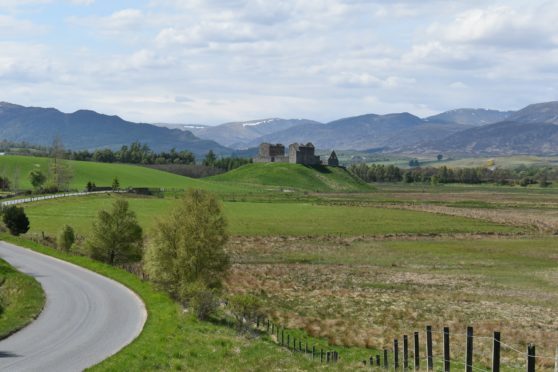 The Badenoch Great Place Project has been developed by the Society of Badenoch and Strathspey Artists (SBSA) and works in partnership with the Cairngorms National Park Authority (CNPA) and Voluntary Action in Badenoch and Strathspey (VABS). Entrants will be able to enter one piece of work on the theme of the Culture of Badenoch in the medium of their choice, including painting, photography, textiles, sculpture, video or installations. Entry is free and is open to all. First prize is £500. David Fallows, chairman of SBSA, said: “We are delighted to be working with the Badenoch Heritage Project and the Park Authority on this great opportunity to inspire new creative works and help promote the local area. “Whether you are an established artist or just like to dabble in the visual arts, your work is welcome. Dr Oliver O’Grady, project officer for the Badenoch Great Place Project with VABS, said: “We’re thrilled to have the support of SBSA in delivering what promises to be a once-in-a-generation opportunity, to get more people involved in telling Badenoch’s story through creative arts. An exhibition of all successful entries is to go on display at the Iona Gallery in Kingussie from August 20-31, where members of the public asked to determine the winner of the People’s Choice. All winning entries will then go on tour through Badenoch during September.